Usually when I talk about playing in playoffs, I tend to think that I raise my urgency level a couple notches. Today was an exception, but it wasn’t all on my shoulders, not by a long shot. In the end, what does fall on my shoulders is my ability in net, and today I played just average. 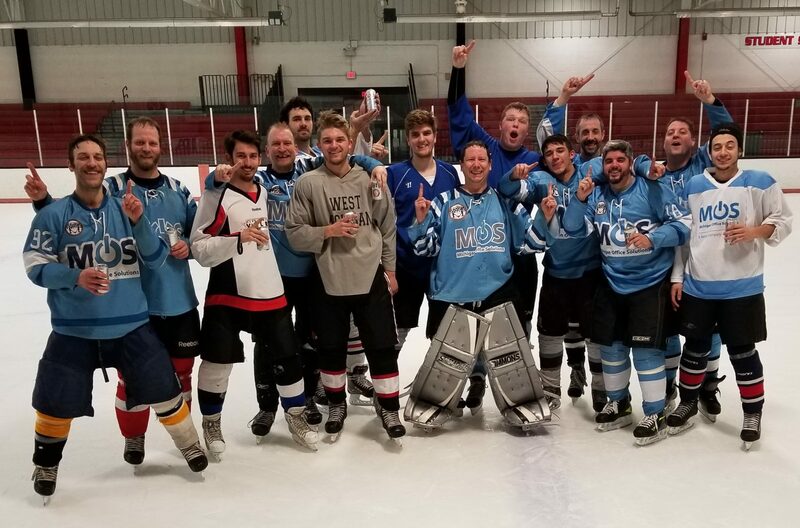 Marketlab placed 1st in the division and got dominated by Red Army by a 7-0 final. After beating Red Army in the finals last season, we got a big wake up call by a team that was on a mission this season. A mission to win a championship. A mission that got derailed in the finals with a loss to the 2nd place Lightning house team with only 4 guys. Talk about disappointment for us, but a massive disappointment for them. Malys made it to the finals but lost 5-4 in the final game. I once again played just average again, but I was strong in the morning when we beat the dragons 4-1. Then I lost in the finals with the Aluminum Blizzard team by a 6-4 final with an empty netter at the end. Once again, I played just average at best. Just a few hours later, I am still a little disappointed with my efforts today. I had high hopes for all my teams, but really just couldn’t summon enough to make that big difference like I have in the past. A few years ago, I turned in a very poor performance in net in playoffs. Sometimes you need that sobering experience to get you motivated to do better next season. With Maly’s and Marketlab returning and they will be contending for a championship, I am pretty happy with the stage that is set for me next season. Another thing to think about is that I can’t be a champion forever. Maly’s has won 3 of the last 5 seasons. Marketlab 4 of the last 5 now. With those kinds of win streaks, I can only think just how fortunate things have been for me in net. I know many goalies that would kill to have those kinds of opportunities and that much success. This next season will be a time of change for me. I will be looking to turn my fortunes around and win a championship next season. More importantly, I want to make a big rebound in playoffs in about 3 months. I am looking forward to the opportunities.